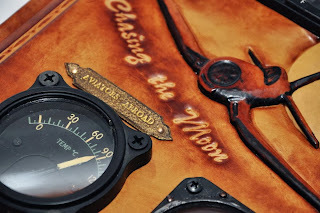 Well my friends, it has been too long since I've posted some news. 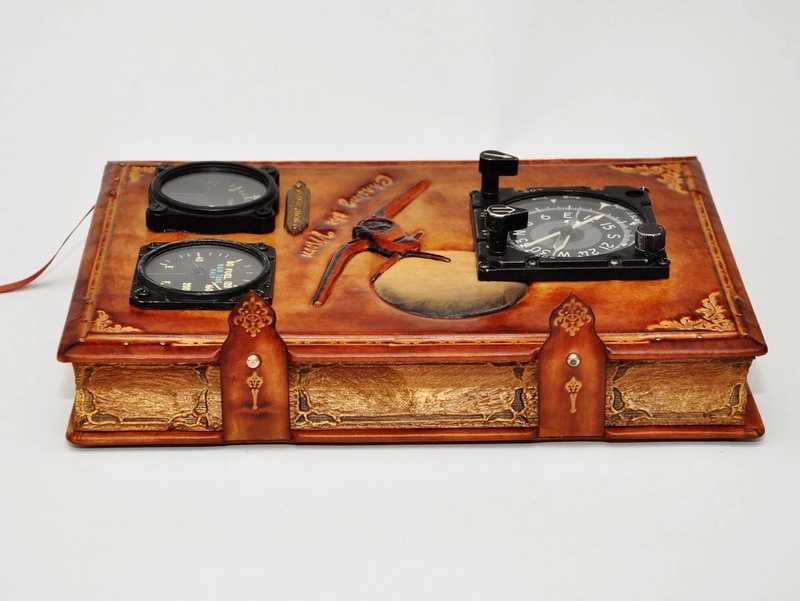 It is time for me to show you one of my latest creations. 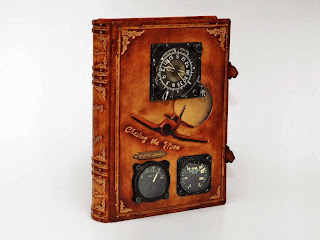 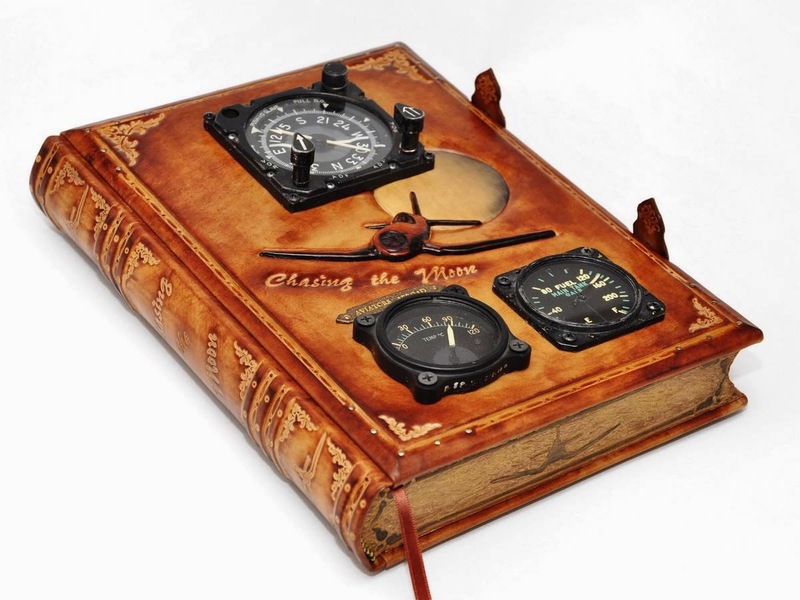 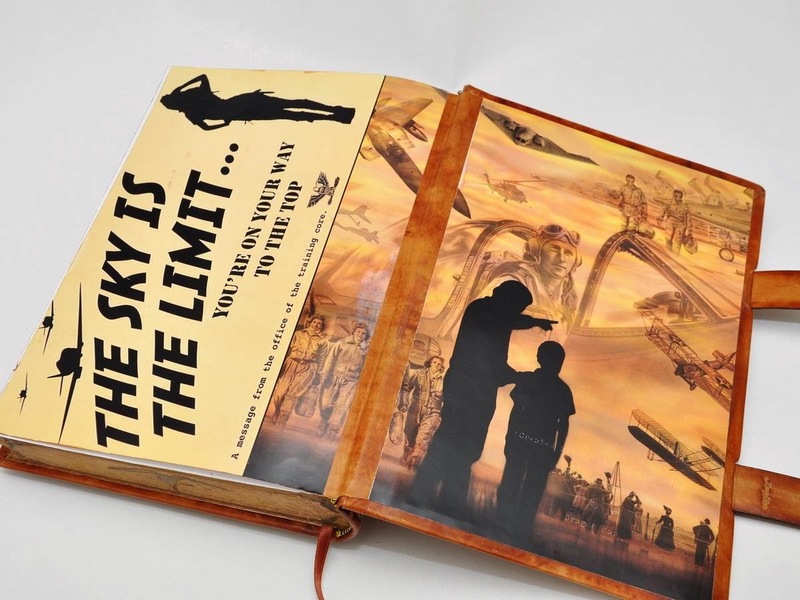 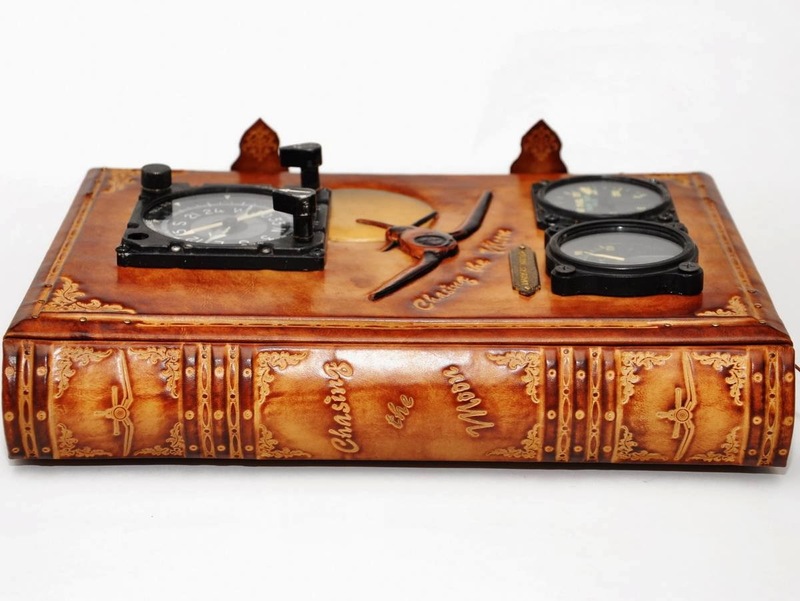 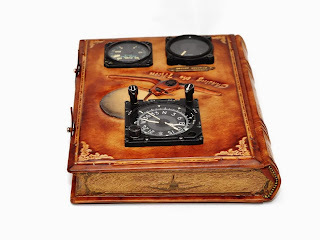 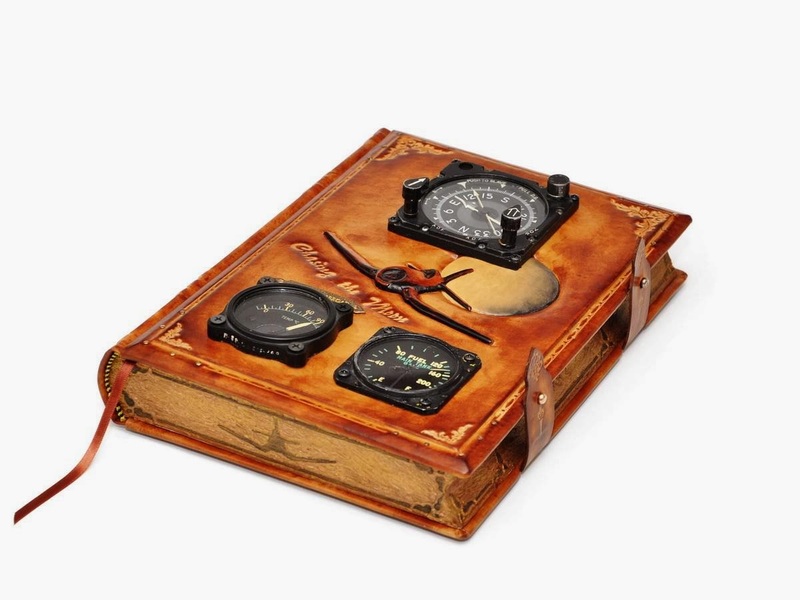 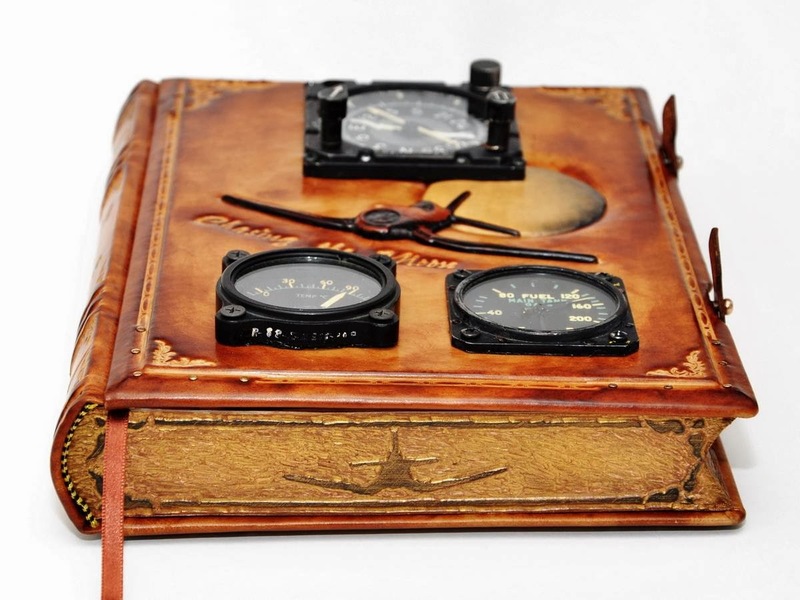 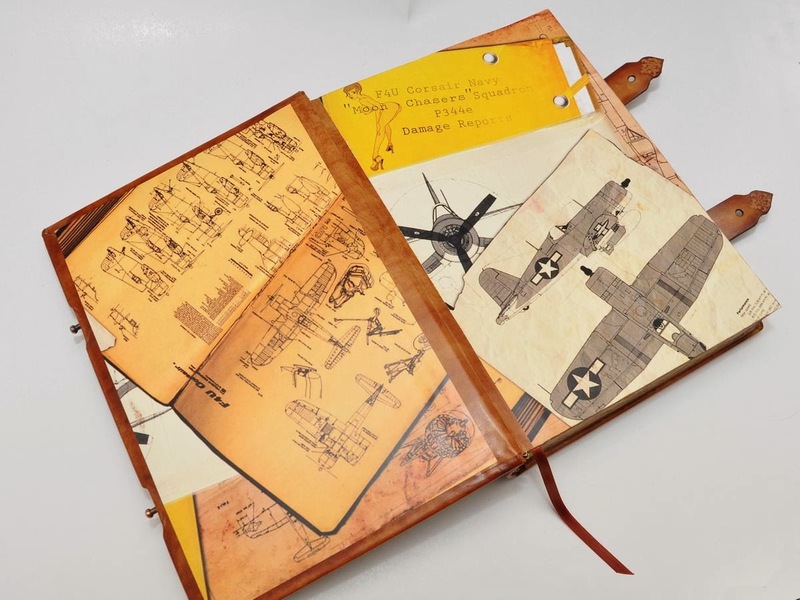 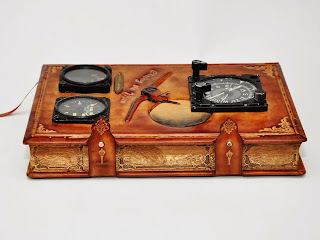 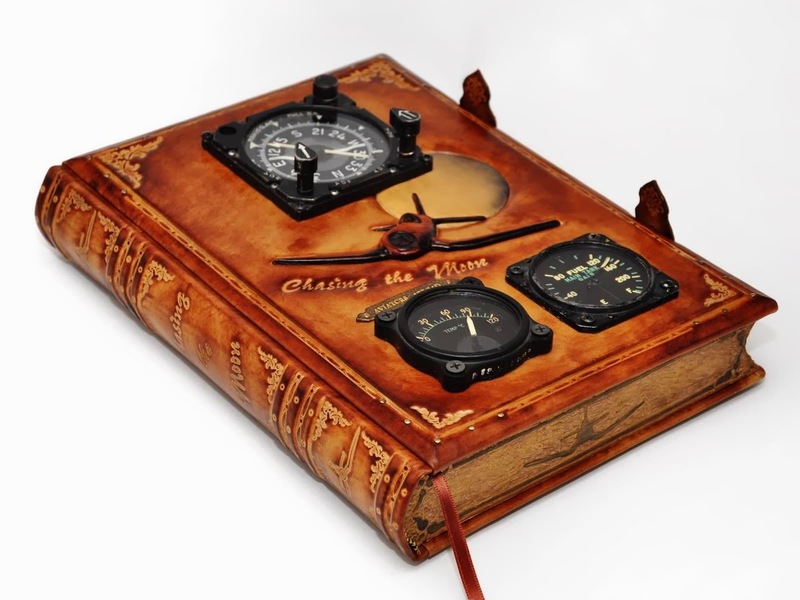 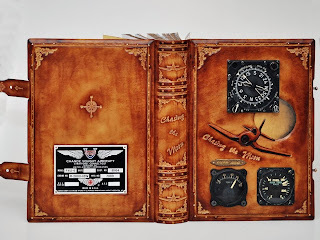 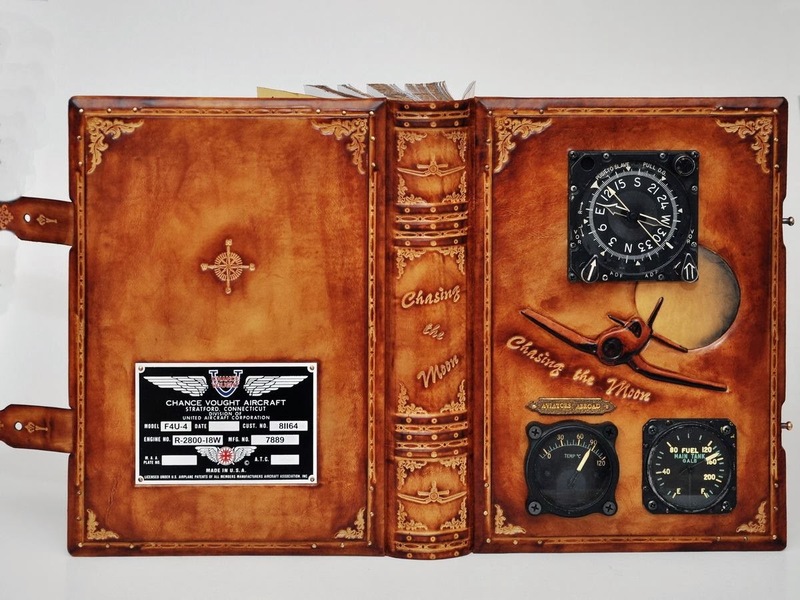 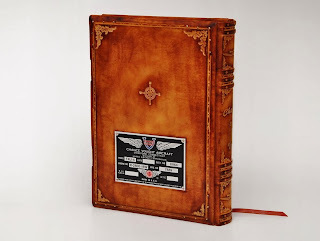 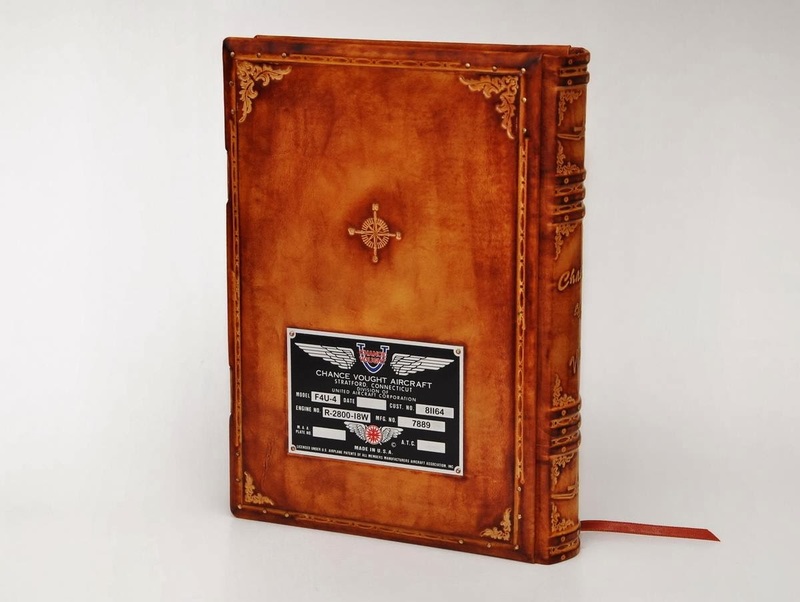 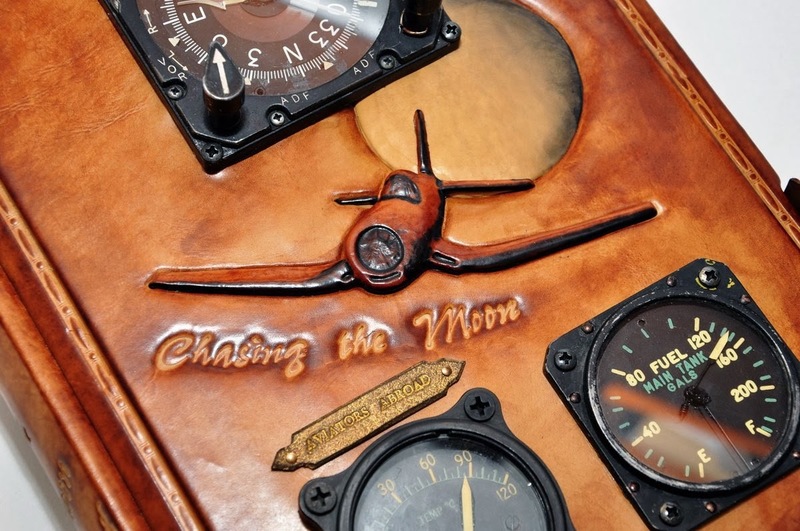 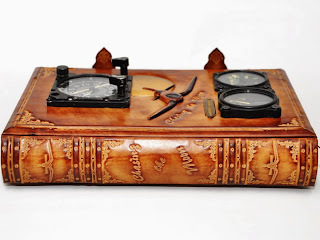 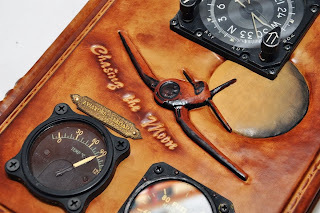 It has been made for a woman aviator who's incredible story motivated me to do this journal. 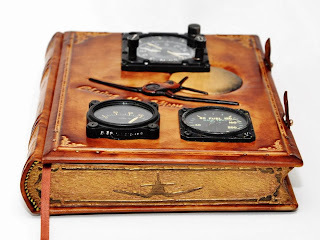 The metal pieces belong to her, and for the design, we've made quite a brain storming. I love the phrase "Chasing the Moon", i think that it is one of the most inspired once i have ever heard. Until next time (not too much time i hope), i wish you all my best.